Visibility through Facebook’s organic reach just dropped even more, making other points of contact with followers even more important. Stepping up your Instagram game is a strong antidote to this declining Facebook reach. While Instagram’s algorithm still shows content out of order, it does prioritize strong, engaging content, so building up your followers there can help you stay connected to your target audience. Gaining new followers can sometimes be more difficult that it sounds. Cheats like buying followers doesn’t work, and other alternatives, like Instagram Ads, can be expensive. 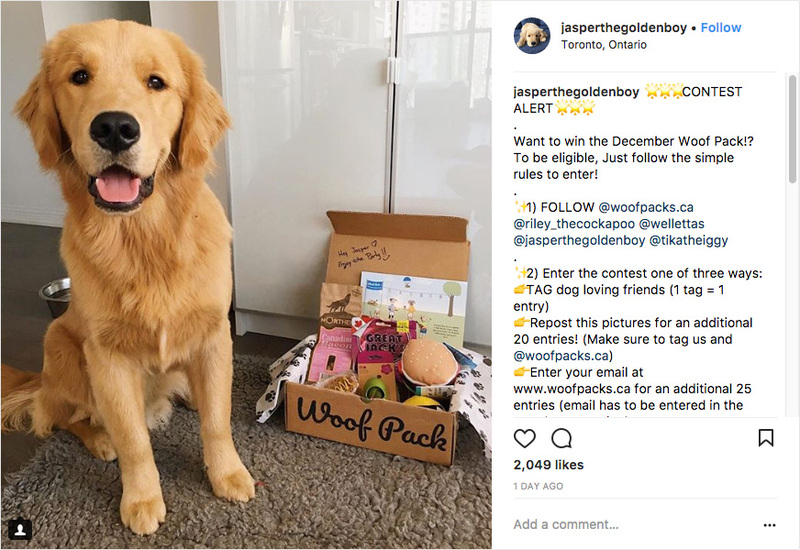 In this post, we’re going to go over the six Instagram giveaway and contest rules you should follow if your goal is to get new followers. If you want to be successful with getting new followers—and keeping them— you need to follow the rules laid out by Instagram. This is important, since not following them could result in your Instagram account being suspended, or even shut down. 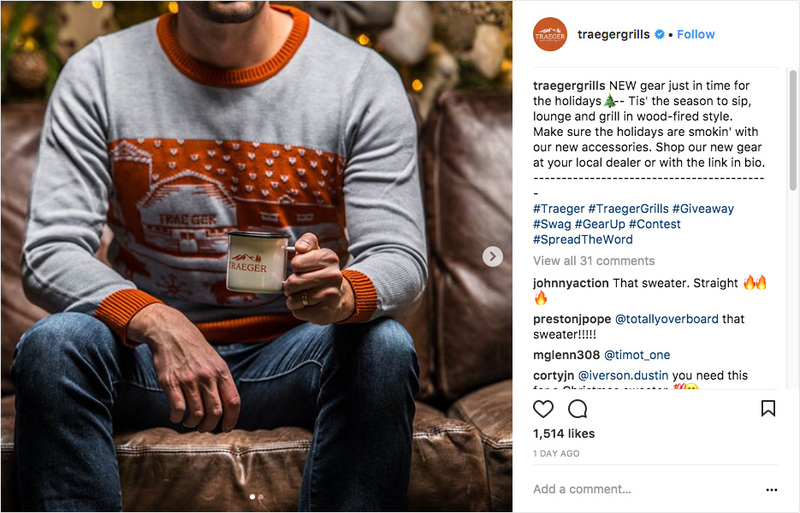 The Instagram promotion rule you’ll see broken more often than any of the others is the one stating you can’t “inaccurately tag content or encourage users to inaccurately tag content,” such as tagging someone who doesn’t appear in the photo. That said, plenty of brands and bloggers run “tag a friend” contests where people are asked to leave a friend’s name in the comments. Even if this isn’t obviously against the rules, it’s not a best practice and you run the risk of annoying people. Some of the most effective contests often do one thing: they require users to follow the host as part of the contest. It’s a practice that significantly increases the chance that people will actually follow. It’s a good idea to make this the first requirement of participation. It increases the likelihood people will follow your page instantly, before even reading through some of the other requirements; this is a good thing, because if they decide the other requirements are just too long, at least you still got the follow. It also can make the rest of your contest requirements seem a little less daunting. Having the first task be really easy encourages users to keep going, and upload those posts or create captions. If it’s easy to get started, there’s a higher chance people will complete the other requirements, too. You should use the allure of a contest to keep users interested and engaged. Make a post saying that you’ll have a contest—and even what the prize is— but say they’ll need to watch your account for details on how to participate. “Follow us so you won’t miss the next steps,” can be incredibly effective copy. This should help you capture new followers even before you launch the official contest, just so people don’t risk missing out, especially if you follow the next two rules on our list…. Instagram’s algorithm hasn’t caused business’s content to take the nosedive that Facebook’s has, but it has changed up how we should approach marketing on the platform. This algorithm prioritizes great content, showing users what it thinks they’ll most want to see. Part of how the algorithm evaluates this is by engagement. Even though your posts are no longer shown in chronological order, having them go live at peak posting times can still benefit you. Getting a hit of engagement when it first goes up will help the post to do well in the algorithm moving forward, giving your post a shelf-life of a day and a half instead of just a few hours. People use hashtags creatively on Instagram, but they also use them to find content they’re interested in seeing. Strategically using the right hashtags can put you in front of new, interested, and engaged users who are actively looking for content just like yours. When it comes to contests, you want to use a combination of contest hashtags—like #contest, #instacontest, and #giveaway—and hashtags that are relevant to your target audience that you’d use on your other posts. This helps you connect with people interested in contests, but also those who love content (and businesses!) like yours. Remember our very first rule on this list, where we said that you couldn’t use inaccurate tags? Yep, that still holds up. But there is a way around it. You can use contest software to give participants extra entries if they share the contest with their friends. This will typically take the form of encouraging participants to share the email addresses of friends they think would be interested — you collect email addresses by linking to a landing page from your Instagram bio. If you’re using contest software to collect addresses and reward sharing, Instagram won’t penalize you. It also gives you actual, quantifiable leads to follow up with, and when they decide to join the contest (which they’re more likely to do since someone they trust referred them), they’ll have to follow you to do so. 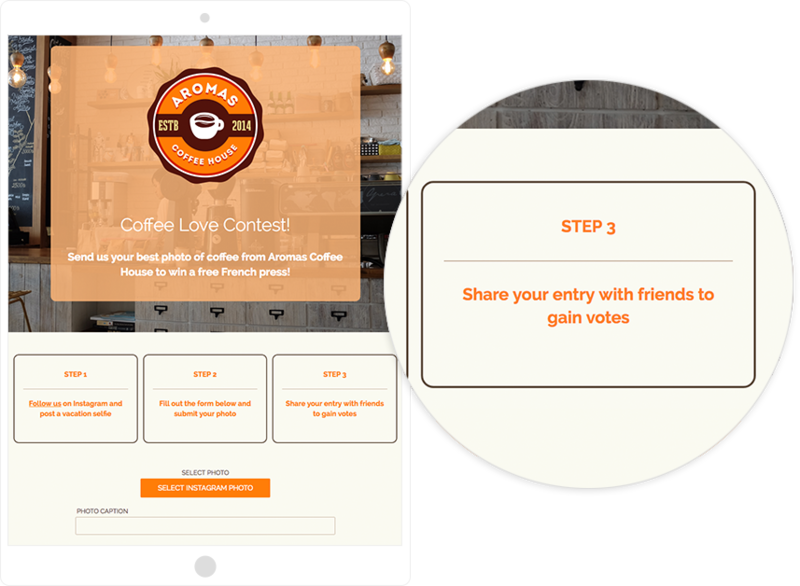 When in doubt, you can also use voting contests, and encourage participants to share the contest with their friends so they’ll have automatic votes. Some of these friends may decide to enter the contest for themselves. Joining forces with a non-competing, complementary business to make your contest even more appealing can be a great idea. In many cases, two businesses working together means an even bigger prize pool to pull from. It also means a lot more visibility for the both of you, since there’s a good chance both brands will promote the contest together. When you hold a joint contest, you can require participants to follow both brands that are involved, sending some of your followers their way and some of theirs over to you. This is a win-win situation for everyone involved. Building your social following on Instagram is always a good goal, but has become even more important since Facebook’s new algorithm has caused organic reach to sink further down than ever before. 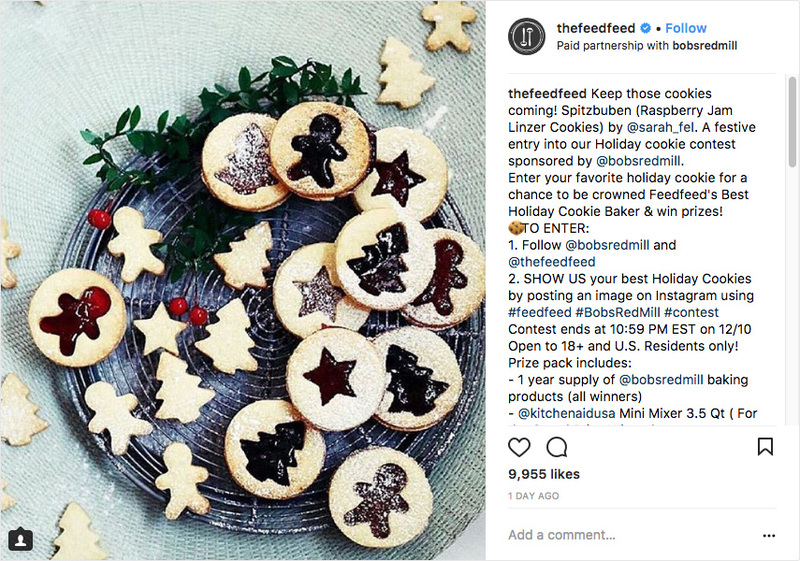 Instagram contests are a great way to gain new followers and increase the likelihood of them interacting with your posts early on, allowing you to show up toward the top of their feeds moving forward. This will give your Instagram marketing even more power than before. 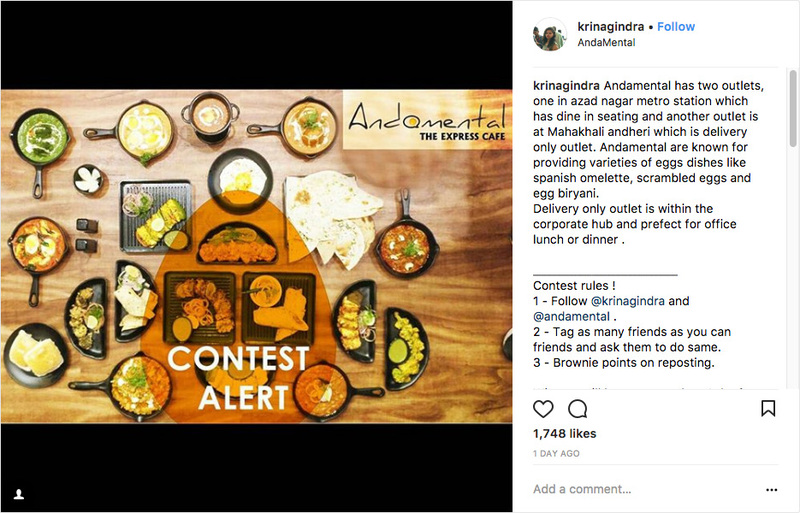 See how easy it is to create your first Instagram contest or promotion.